When I first started this site, I decided to investigate the side effects of drinking tea. I promise myself that I wouldn't make any recommendation without first understanding the risks. I felt quite stupid at first. After all, even the United States FDA categories tea as "Generally Recognized as Safe". It is the second most consumed beverage after water. What can possibly go wrong? Now seven years into publishing this article, the results surprise me. Yes, readers have been telling all the things that can go wrong from drinking green tea. It does matter what you drink and when you drink it. The results are truly astonishing! First of all, there are the well understood side effects, such as stomach upset, caffeine sensitivity and teeth staining, which I will explain below. There are also the allergic reactions, which ranges from the minor to the truly horrific. I have never heard of them from my own customers. I am unsure whether it is allergy or simply the tea they are drinking being contaminated with lead and pesticides. I will go through this below shortly. I have to confess I am not in anyway medically qualified. I tried my best to inform. If you are in doubt, please speak to your medical adviser or post a question at the Tea Side Effects Forum below. When you have too much caffeine. Tea contains about half the amount of caffeine found in coffee, so moderate consumption of green tea is unlikely to cause problems for the majority of people. However, beware if you are drinking green tea powder or matcha! Not only it is easy to overdose, these products could also contain higher concentration of caffeine. How to deal with tea caffeine? It is like an onion, surrounded by layers of myths. Are you ready to peel and see what is truly inside? When you have a sensitive stomach or is prone to diarrhea. This is very common. Stomach upset is the second most common complaint after caffeine. If you are prone to irritable bowel syndrome (IBS) or frequent diarrhea, then you probably shouldn't be drinking green tea. It is likely to further upset your stomach. Drinking green tea at the wrong time, such as with a meal or first thing in the morning can also cause nausea. A 1984 study concluded that "tea is a potent stimulant of gastric acid, and this can be reduced by adding milk and sugar." Click on the link below to discover the ten tips of enjoying a soothing cup of tea without experiencing stomach upset. When you are pregnant or are breastfeeding. Green tea contains caffeine, catechins and tannic acids. All three substances have been linked to pregnancy risks. 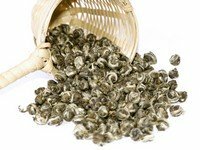 Moderate consumption should be okay, but one should consider avoiding drinking green tea altogether during early pregnancy, as drinking large amount of tea (I mean tens of cups a day) may cause neural tube birth defect in babies. When you suffer from, or is susceptible to, iron deficiency anemia. Tea is a "negative calories" beverage. Not only does it contain virtually no calories, it also block the absorption of certain nutrients. While this is great if you are drinking green tea to lose weight, it can cause concerns if you are blood deficient. A 2001 study reports that green tea extract reduces the absorption of non-heme iron by 25%. However, another 2005 study found that long-term drinkers develop protective mechanism by having heavier parotic glands. The protein rich saliva neutralizes the harmful effect of tea tannin. This is a hard one to call as the evidence is mixed. A 2005 study found that green tea reduces the level of estrogens in the body. It is not clear if this aggravates hot flashes. If hot flashes is a concern to you, please exercise caution with drinking any tea beverage. However, a 2003 study suggests that green tea, when taken with other herbs, may alleviate post menopausal symptoms. When you have young children. If you have young kids, it is advisable for them not to drink tea. This is because tea contains caffeine that may over-stimulate. It also contains tannins that may block nutrients absorption of protein and fats in children. For older children, it is advisable for them to avoid energy drinks such as Enviga. According to my friend Dr. Shen, energy drinks contain chemicals such as phosphoric acid, Ace-k and potassium benzoate. They are especially bad for kids, and even adults. Potential side effects include weak bones, bad teeth, cancers and allergies. Green Tea Energy Drinks Dangers! When you suffer from or are susceptible to thiamine deficiency. In the same way that tea blocks the absorption of fat, protein and iron, tea also reduces the absorption of thiamine (Vitamin B). Thiamine deficiency leads to a condition known as beriberi. Once common to sailors, beriberi is now relatively rare in the Western world except for in alcoholics. When you have too many green tea extract tablets. This is a real risk. Some people prefer consuming green tea tablets rather than brewing hot tea. That is fine, but it is dangerous to overdose. One study found that green tea is good for you only when used in moderation. While it has been found to prevent heart disease and cancer, it could cause liver and kidney damage when consumed in very large quantities. 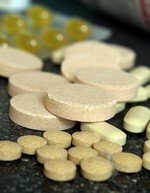 "People shouldn't be too alarmed by this, but those taking supplements may experience problems," says lead author Chung Yang of Rutgers, the State University of New Jersey. How many tablets can you safely consume? There is no clear cut answer, but some guidelines do exist. Green Tea Supplement Side Effects - Harmful Extract Pills? When you drink low quality green tea bags and matcha. Drinking too much low quality tea can be dangerous. It may contain contaminants such as lead (from road traffic pollution), pesticides and fluoride. The latter can be a concern if you are already drinking water that is rich in fluoride. Low quality tea products are made from tea plants grown in low altitude or at roadside exposed to lots of car fumes. The tea farms are harvested frequently, which means pesticides have to be used. In addition, mature leaves are plucked, rather than baby tea buds. This means the tea will contain more fluoride that is accumulated from the environment. Low quality tea leaves are usually used to make flavored tea products in the form of tea bags, matcha and iced tea, as on their own these leaves usually taste awful. A 2005 study raised concerns about instant iced tea. A middle aged woman was diagnosed with skeletal fluorosis for drinking up to 2 gallons of iced tea daily. Why? Because her green tea contained too much fluoride. University of Derby also reported on a study that found that economy tea bags from supermarket brands can contain dangerous concentration fluoride, making UK people susceptible to fluorosis. Laura Chan, who carried out the study for her PhD at the University of Derby, said: "The tea plant, Camellia sinensis, is a fluoride accumulator, with mature leaves accumulating most of the fluoride." Fluoride in Green Tea - Danger in Lipton Instant Iced Tea! Want to know which food and beverage contain too much fluoride? The USDA database, which contains the fluoride content of more than 400 food and beverages, may be just what you need. Tea and Fluoride - What Does USDA Say? When you have or are prone to forming kidney stones. Kidney stones are mineral deposits made up of calcium, uric acid or the amino acid cysteine. At least three quarters of kidney stones are composed of calcium combined with phosphate or oxalic acid. Tea is a concern because it is rich in oxalic acid. However, contrary to expectations, recent studies suggest that while black tea contains oxalic acid, green tea actually contains very little oxalic acid. In addition, green tea inhibits urinary stone formation and prevents kidney stones! This is may not be a side effect, it is a health benefit. When you are allergic to tea. Existing studies have found that drinking green tea may prevent allergy, but it also contains caffeine and tannin that may cause allergy. I am unsure what causes these horrible reactions. Some readers reported that the problems disappear when they switched over from cheap tea obtained from dollar shop to higher quality tea. For others, it doesn't make any difference. If you are healthy and are drinking green tea to help boost your immunity, you are probably doing the right thing. Scientific studies have found tea to protect you against virus and bacteria. However, if you are already suffering from cough and blocked nose, drinking tea would probably make thing worse. In Traditional Chinese Medicine, green tea is considered cooling and damp. My experience is that drinking green tea stimulates mucous and phlegm production. It makes you want to cough or it could make your blocked nose worse. Beware of slimming and weight loss teas. There are many kinds of Chinese slimming and weight loss teas. While green tea is considered safe for long term consumption, slimming and weight loss teas that contain stimulant laxative herbs such as senna leaf and rhubarb root are especially dangerous when consumed in large quantity. The FDA is on red alert. There have been 4 case reports of young women who died, of which herbal diet tea may be a contributing factor. Herbal Laxative Tea - Diet Slimming and Constipation Relief? For an in depth review of tea weight loss properties, visit Weight Loss Tea - How To Be A Successful Loser. Drinking tea or coffee stains or discolors the dental plaque, but not the teeth itself. If the plaque is not completely brushed and flossed away within 24 hours, it begins to harden and becomes what is commonly known as tartar. This tartar is porous and further absorbs stains from other food products. When a dentist clean your teeth, they remove the tartar and plaque. When the tartar and plaque go away, so do the teeth stains. Want to find out what's the best ways to prevent teeth stains? Read Tea Staining and Teeth - 5 Whitening and Removal Tips. The healthiest way to enjoy tea is to brew and drink the liquor. When you drink tea, you are protecting yourself from harmful insoluble solids that may be present in the leaves (such as synthetic pesticide DDT). Matcha green tea sellers claim that when you consume tea powder, you are maximizing its health benefits. This is garbage. Drinking green tea is the safest and most proven way of ingesting green tea antioxidants. Safe To Eat Tea Leaves from Tea Bag? When you are on medication or have a medical history. This is perhaps the most important side effect of which to be aware. Green tea, like any other tea beverages, can interfere and interact with certain medications. It is wise to avoid drinking any tea beverages 2 hours after taking medications. Green tea contains caffeine. Caffeine can increase heart rate and blood pressure, although people who consume caffeine regularly don't seem to experience these effects in the long-term. Caffeine can also increase blood sugar levels. Diabetes patients should drink it cautiously. The same applies to those with psychological disorders, especially anxiety or panic disorders, and overactive thyroid or hyperthyroidism. Take care if you have severe liver disease, as the level of caffeine in the blood may build up and last longer. Finally, if you have any other health concerns, play it safe. Consult with your health adviser before drinking green tea! Medline Plus: Green Tea (Camellia sinensis). http://www.nlm.nih.gov/medlineplus/print/druginfo/natural/patient-green_tea.html. How to reap the maximum health benefits of your soothing cup of tea while minimizing its nasty surprises. Take any healthy food excessively, it is likely to turn into a poison. There are few case reports documenting serious side effects of tea. Here are worse case scenarios for the truly cautious. Like any other tea beverages. They key is to avoid the low quality teas. What Chinese Medicine says about the art of tea drinking. Green Tea Has No Side Effects! Green Tea Side Effects - Are You Kidding? Green Tea Mixed with Coffee - Safety and Side Effects? Tea for Anemics - Can Citrus Fruits Help? Green Tea and Arthritis - Cause Swollen Feet? Green Tea and Breast Cancer - Cause or Cure? Green Tea Color My Tongue? Help! Eating Tea Leaves - Is it Safe or Healthy?